Robert Shea graciously shared a collection of memorabilia about his ancestor, Congressman Yoder, when he visited Berwyn Heights for this year’s historic marker dedication. The collection adds a personal dimension to the information already publicly available. Here then is the story of the talented and enterprising man who left behind the hardships of his childhood in a frontier farming community to rise to a position of wealth and influence in the nation’s capital. After the war, Samuel studied medicine at Michigan State University. In 1868, he settled in Bluffton, Ohio and started practicing medicine. On October 6, 1870, he married Minerva Maxwell (1851-1919), daughter of Abner and Matilda Maxwell. Their first two children died in infancy. The first child that lived, Early D., was born on February 19, 1875, followed by Elfie A. on August 15, 1878, and Samuel S. Jr. on February 9, 1886. Although his medical practice was thriving, Yoder’s life took a different direction after he was elected Mayor of Bluffton in 1874. He became interested in politics and began to study the law in Lima, Ohio. He was admitted to the bar in 1880, elected Probate Judge of Allen County in 1881 and re-elected in 1885. While residing in Lima, he became a leading member of the Allen County Democratic Party and served as chair of the Central Committee until 1886. In 1886, Judge Yoder was elected to Congress as the democratic representative of Ohio’s 4th district. 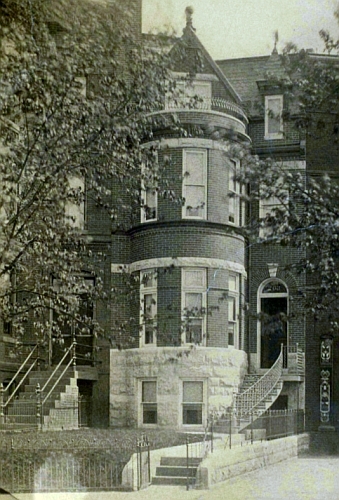 He moved his family to Washington, and purchased a stately brick home at 203 Maryland Avenue, NE, just a short walk from the Capitol. 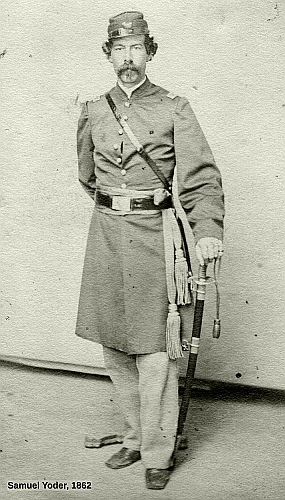 He served in the 50th and 51st Congress, where he earned a reputation as an advocate for civil war veterans. As chair of the Invalid Pensions Committee, he passed an Increase Pension bill for civil war veterans. He declined to run for a third term but served as Sergeant-at-Arms in the 52nd Congress. 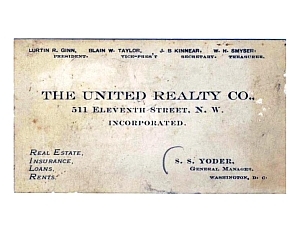 His congressional career behind him, Yoder turned his attention to private business. For the next 20 years, he incorporated, invested in, and led several for-profit corporations. 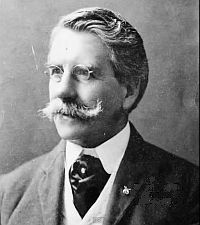 He served as President of the Board of Directors of the National Glass Company, a trust that controlled the glass and ceramic manufacture in the country; General Manager of the United Realty Company of D.C.; Washington Branch Manager of the Pneumatic Water Works Company of New York; and finally President of the Berwyn Heights Land and Manufacturing Company and the Washington, Spa Spring and Gretta Railroad. Samuel Yoder’s last years were marked by the failure of the Berwyn Heights venture, ill health and the death of his wife in 1919. He died from cancer on May 9, 1921 and is buried in Arlington National Cemetery, Plot: Section 3, Lot 4093. ¹ “A Yoder in Congress,” Yoder Newsletter No. 8, pp. 1,4. ² “Peace and Patriotism in the Mid-West,” Mennonites, Amish and the American Civil War, James O. Lehman and Stephen M. Nolt, pp. 120-122. ³ Noah Webster Yoder, Descendants of Jacob Hochstetler, the immigrant of 1736, Harvey Hostetler, Brethren Publishing House, IL, 1912, p. 699. 5 “Golden Rule Jones of Ohio,” American Oil & Gas Historical Society.